The Intel® Retail Experience Tool, or RXT, is a digital tool for you to use with retail shoppers to help enhance your sales process. You can launch the RXT on any Windows* device. It runs directly from a USB stick with no installation necessary, and it’s totally compatible with both Microsoft* Retail Demo (RDX) and Intel® Intelligent Point of Sale (IPOS). Research confirms that the RXT can help you sell more devices and sell higher-level devices. Content in the RXT is targeted to all types of shoppers, so it’s easy to find the perfect demo or video for anybody you talk to. Don’t take our word for it: 93% of RXT users say it works. 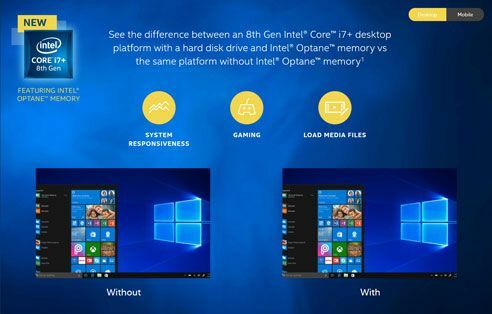 Compare processors, show features such as Intel® Optane™ Memory and battery life, and test drive performance benefits like media editing, gaming, and wake-up time. 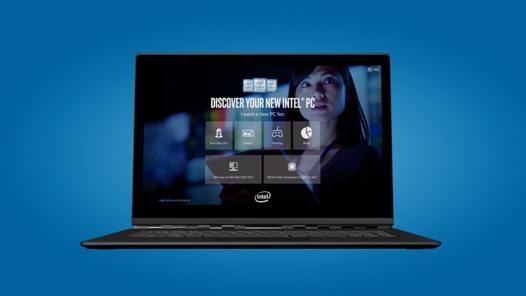 The Intel® Retail Experience Tool is available in more than 20 languages. Use the buttons below to download the full RXT for Windows*. Download the RXT mobile app for iOS* or Android* using the links below. The RXT mobile app includes processor comparison and sell-up content that enables you to deliver an engaging customer experience without requiring an on-shelf device. These demos are available as standalone, web optimized responsive experience. Preview, choose and get embed code for these popular demos, all available on Shopper Campaigns.